They are search and rescue and when that fails, they are cadaver dogs. Dogs they give comfort, kisses, hope and forgiveness. The December 2018 Carson Mountain avalanche in the Sierra Nevada range buried a 12 year old skier in a blinding flurry. Rescuers knew his skier jacket was not equipped with an avalanche detector so they quickly called Search and Rescue for help. A sniffer dog was brought to the site to recover what they knew would be a body. Actually, that is what made news because the boy was found alive! 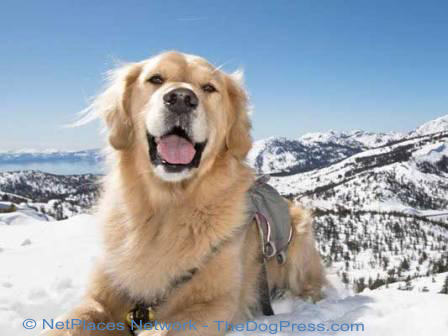 Golden Retriever “Tremper” and his owner-partner Andrew are part of the Mt. Rose Avalanche Dogs search and rescue team. Miraculously, the retrieve found the boy “alive and conscious… after being buried under snow for 40 minutes.” The youngster was airlifted to hospital and thankfully, has a great story to tell his buddies. Then, in January 2019, the Taos NM avalanche resulted in a fatality even though a ski patroller with a rescue dog was quickly on scene. Two skiers were located and rescued but one man later died in hospital. California Fires! 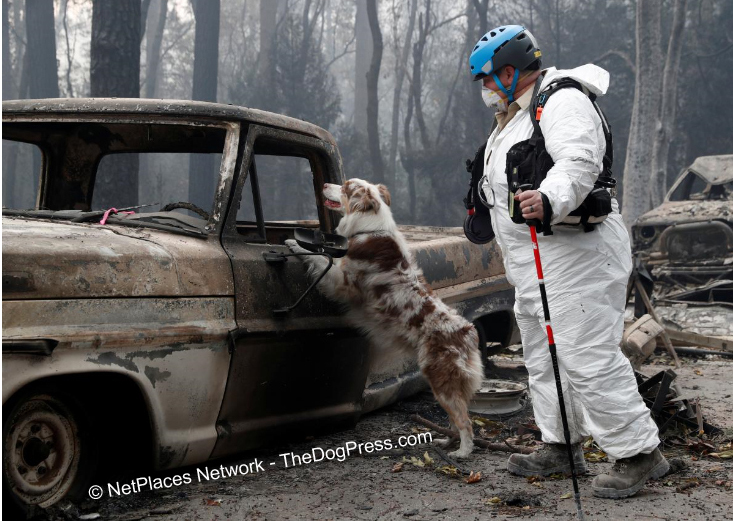 Reuters reports “Nov 14, 2018 - Cadaver dogs lead grim search for victims in California fire ... destroyed by the Camp Fire in Paradise, California.” With a population of less than 27,000 the Paradise, CA community was devastated by the deadliest fire in California history. The search manager for the Oakland Fire Dept. quoted President George H.W. Bush who said “we need to have the SWAT…rescue teams throughout the country to go to big disasters.” 86 people lost their lives in that fire. There was no need for rescue dogs. The devastation was so complete, only cadaver dogs were called in, some of which suffered foot pad injury as they “doggedly” searched smoldering wreckage. South Korea's hero dog. Here is another dog hailed as a hero in 2018. She is certainly one of the bravest dogs in the way she coped with torture. 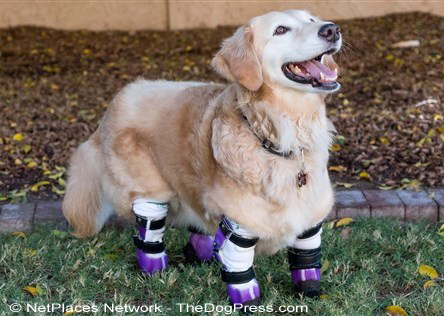 The American Humane’s American Hero Dog is Chi Chi the Golden Retriever. Left for dead in a South Korean dumpster, Chi Chi was found with “legs bound and rotting away by wires still wrapped around them.” She was adopted after surgery that amputated all four paws and pasterns. The organization that saved the dog and arranged for the surgery is not named but there is a video posted by Animal Rescue, Media and Education. She is a hero, not for surviving what must have been horrific pain and torture but for being the epitome of a Therapy Dog in her new life. Do you have a Hero Dog? 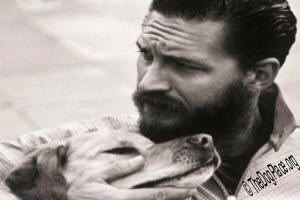 A dog that makes your life better, makes you feel safer, makes you laugh when you’re sad? A tiny little dog that protects your family or a giant breed that sticks to your side even if friends forsake you? 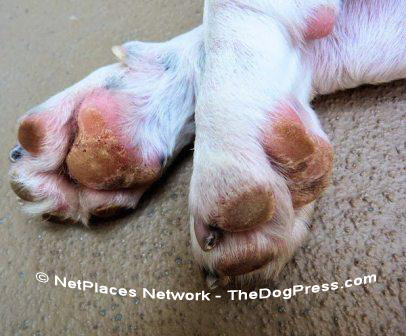 We know there are dogs everywhere that quietly and steadfastly make life better for millions of people. Dogs know why they are here. They instinctively seek out someone to serve. If you are a subscriber you know how unique the dog is in all of the animal kingdom. If you just dropped in for a quick look, we hope this has made you think. Bobbi King said she purchased a dog for breeding in her kennel. She found him on Facebook - of all things! He has become an excellent producer, but also a Therapy Dog for Alliance of Therapy Dogs, bringing joy to others. She continued to hear about the 'famous" F litter of which he was a part of. 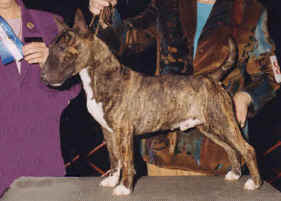 Surprisingly, there was a local show, The USCA National Championship, so they entered it and he won. But better than that he has become a Service dog (mobility and psychiatric) for a man they met on the corner (in a wheelchair). He has brought comfort to others and given a man a reason to return to the living. (His sister went #2 in the world!) So, it really was the famous F litter. Just A Pet or Hero? 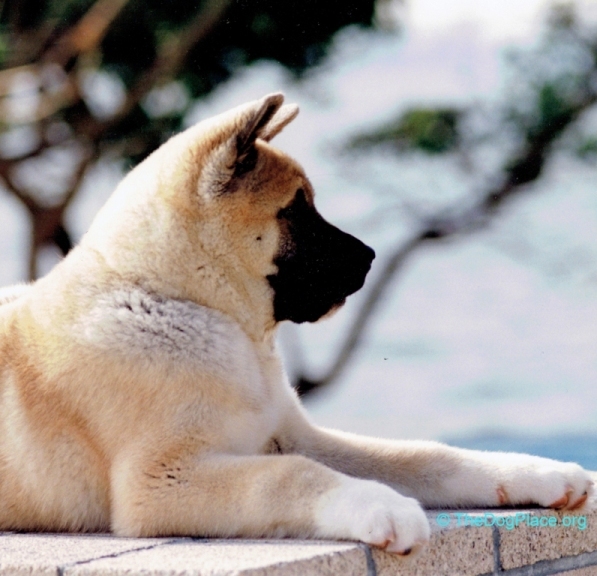 An Akita puppy was the key to life for this WWII paratrooper. Dr. Lee explains what makes dogs entirely different. How did he know the smoke meant danger to his family.